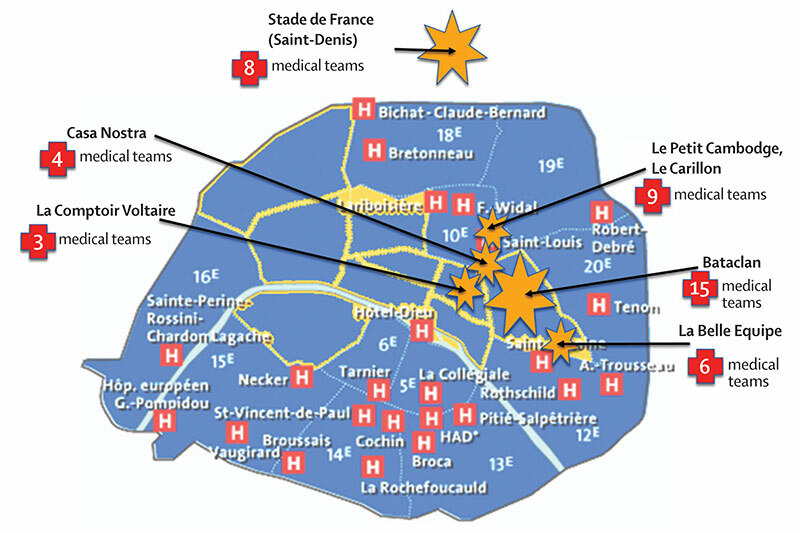 In a Viewpoint published in The Lancet today, a group of doctors from the Assistance Publique-Hôpitaux de Paris (APHP) describe in chilling detail how they coped with the large influx of wounded on the night of Friday, November 13, following the coordinated terrorist attacks. Operating continuously through the night, 35 surgical teams from 10 hospitals across Paris operated on the most seriously injured. Most of the patients were younger than 40 years old. The doctors praise the efficiency of the crisis plan in Paris that ensured casualties were dispatched to appropriate hospitals across the region and prevented medical staff from being overwhelmed in case of additional attacks. Although emergency physicians have been receiving training in disaster medicine for more than 30 years, never before had such a number of victims been reached and so many wounded been operated on urgently. A new threshold has been crossed. … Professionalism was present at each level. … difficulties vanished, working together appeared fluid and somehow harmonious. … Solidarity was observable inside the APHP hospital but also between the different APHP hospitals. When English surgeon and social reformer Thomas Wakley founded The Lancet in 1823, he announced, "A lancet can be an arched window to let in the light or it can be a sharp surgical instrument to cut out the dross and I intend to use it in both senses." This philosophy remains at the heart of the journal today. 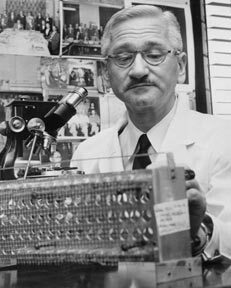 Through the 19th and 20th centuries, The Lancet pursued its mission to grow the evidence base the world's medical community requires to combat the global burden of disease. Entering the 21st century, The Lancet has launched specialty journals in the fields of oncology, neurology, infectious diseases, respiratory medicine, global health and diabetes and endocrinology.